Here’s the Chiefs breakdown, and some of the background on how they think things will play out for the team. Belcher has started 31 games over the last two seasons, totaling 171 tackles and a quarterback sack. The former undrafted free agent out of Maine is expected back on a one-year tender (minimum of $1.26 million in base salary) to compete with Brandon Siler for the starting job opposite Derrick Johnson. 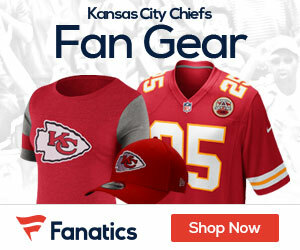 Franchise Tag Candidate: The Chiefs have an abundance of salary cap room and a pair of candidates for the franchise tag. Wide receiver Dwayne Bowe had a down year without a healthy Matt Cassel (and Jamaal Charles and Tony Moeaki), but is a season removed from ranking eighth in receiving DYAR. Franchising Bowe is projected to cost around $9.5 million in guaranteed base salary in 2012. Starting right cornerback Brandon Carr is also scheduled to be an unrestricted free agent. A 2008 fifth-round pick, Carr has started all of the 64 games he possibly could have during his NFL career, leading the NFL in passes defensed in 2010 (25) and pulling down a career-high four interceptions in 2011. Franchising Carr would cost the Chiefs around $10.5 million in fully guaranteed base salary in 2012. Potential Cap Casualties/Restructures: No team has more cap space than the Chiefs, so restructuring to clear more room is not an issue. 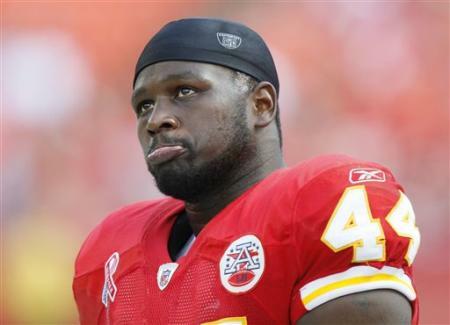 In terms of cash, linebacker Tamba Hali is due the most ($11.5 million), including an $11.25 million base salary that became guaranteed on February 7. Defensive end Tyson Jackson’s 2012 base salary has escalated to $8.005 million.